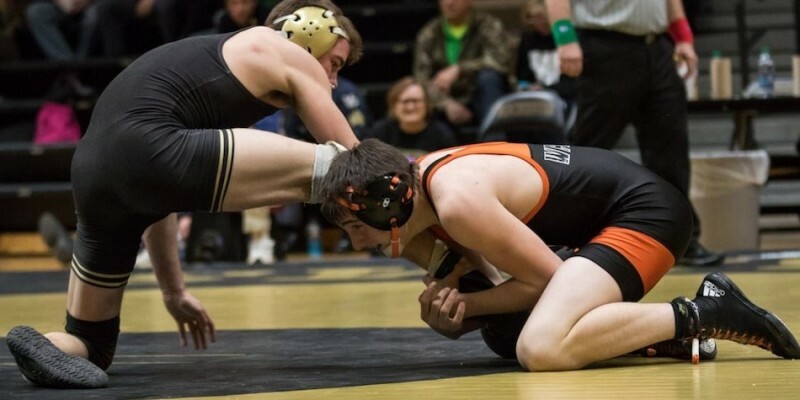 SYRACUSE – Wawasee sophomore Braxton Alexander went 45-6 this year on the wrestling mats, and fully expects to up that total next winter. INDIANAPOLS- Wrestling standouts Kyle Hatch of Warsaw placed third and Braxton Alexander of Wawasee sixth at the State Finals on Saturday. INDIANAPOLIS – Warsaw’s Kyle Hatch and Wawasee’s Braxton Alexander each posted first-round wins at the wrestling State Finals Friday night. EAST CHICAGO – Warsaw’s Kyle Hatch and Wawasee’s Braxton Alexander had big performances in the wrestling semistate Saturday. SYRACUSE — A recap of Wawasee sporting events from Saturday, Dec. 3. EAST CHICAGO — An outlook for the semi-state round of wrestling.